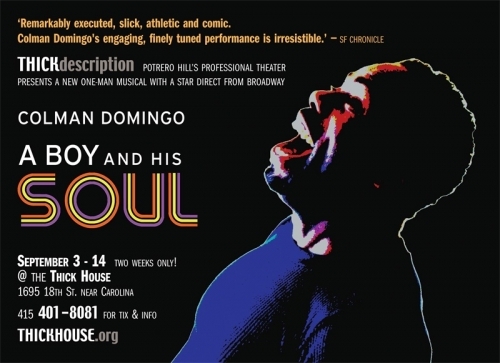 We saw our dear and talented friend, Colman Domingo, perform his remarkable one-man musical – ‘A Boy and His Soul’ – last night at Potrero Hill’s Thick House. And it was AMAZING! 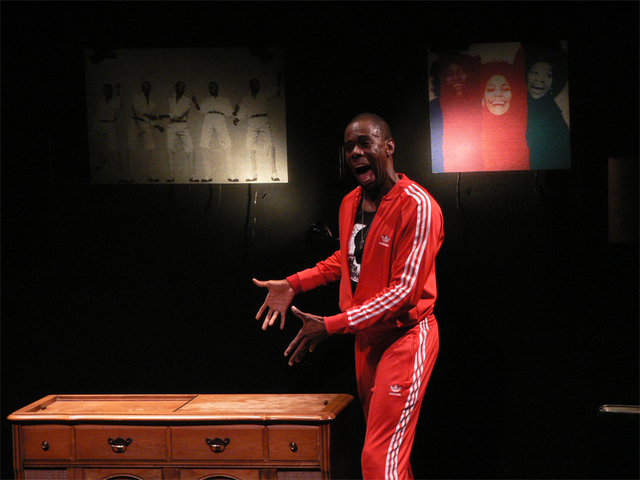 Fresh off his starring role in the hugely popular Broadway hit, ‘Passing Strange’, Colman dazzled us all with an emotional, physical and very comedic walk through his childhood memories – growing up black and gay during the 70s in West Philadelphia. The premise of the story starts when Colman, dealing with two ill parents, is enlisted to help sell his childhood home in West Philly. While cleaning out the basement he uncovers a treasure trove of old 70s vinyl soul albums – the soundtrack of his life. From there he recounts the hilarious and endearing tales of his family and youth through the classic grooves of the 70s soul music that permeated his home – the Ohio Players, James Brown, Earth Wind and Fire, Diana Ross and more. Even if you didn’t grow up in the 70s or with soul music as your soundtrack, you can connect with the power of music and the link it provides to those pivotal memories and experiences in life. It’s a brilliant performance and highly recommended by this music lover. “A Boy and His Soul” continues through Sept. 14 at The Thick House, 1695 18th St., San Francisco. Tickets are $15-$30 on a sliding scale. Call 415-401-8081 or visit www.thickhouse.org. This entry was posted in Shows and tagged 70s soul music, a boy and his soul, coleman domingo, passing strange, thick house. Bookmark the permalink.